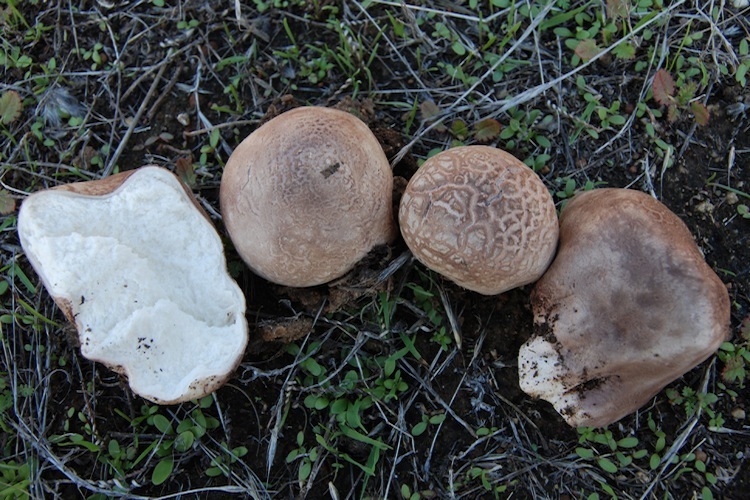 Calvatia produce large to very large (in some instances one could only say enormous) puffball-type fruitbodies. 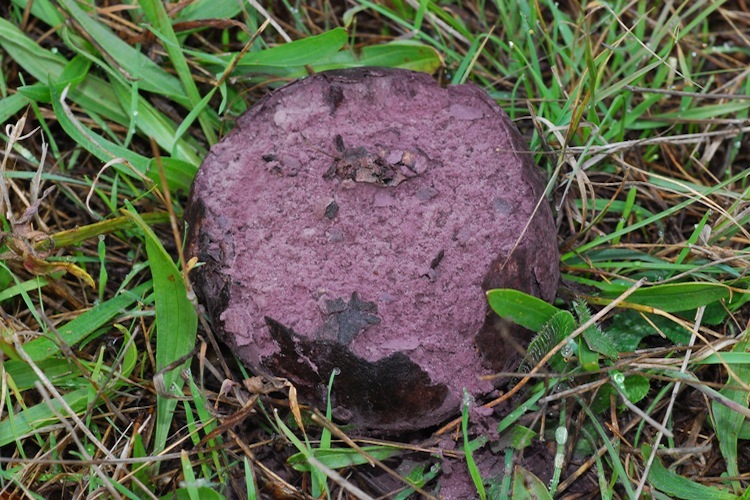 The large size, and yellow-olive to brownish-olive (or in one group dark grayish-purple) spore mass help to distinguish this genus from other puffballs. The spore mass tends to become entirely powdery in age, not remaining cottony as in some of the smaller puffball genera. Saprobic, preferring open settings. In Santa Cruz County almost always found in exposed grassy meadows and hillsides with bare soil. Two species confirmed from our county, a third possibly present. Identification to species is subtle, dependent on examination of microscopic features.